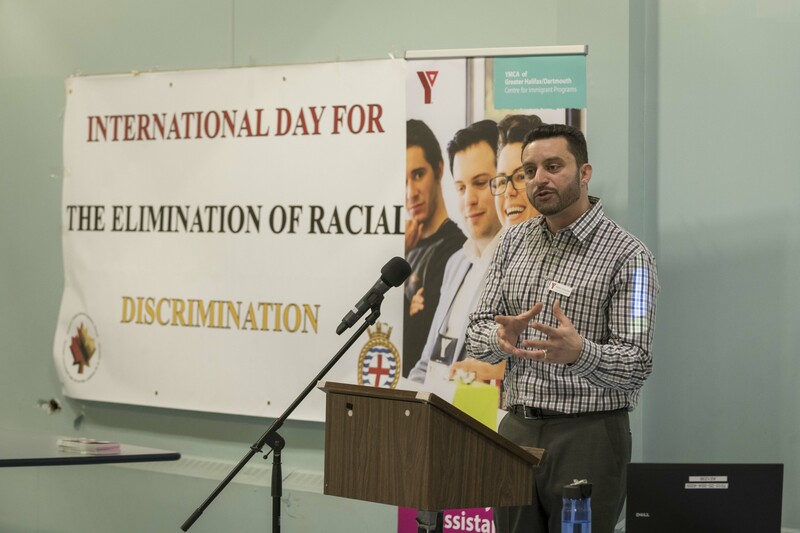 Abdul Alsaidan, the Employment/Education Coordinator with the YMCA Centre for Immigrant Services, spoke to members of Formation Halifax as part of events marking the International Day for the Elimination of Racial Discrimination on March 21. Many of the difficulties faced by newcomers to Canada can be significantly lessened if they have access to proper support as they transition to their new lives, a group from Formation Halifax heard during a presentation at Windsor Park on March 21. To mark the International Day for the Elimination of Racial Discrimination (IDERD), the MARLANT Defence Visible Minority Advisory Group (DVMAG) invited Abdul Alsaidan, the Employment/Education Coordinator with the YMCA Centre for Immigrant Services, to speak to the defence community about work the organization does with new immigrants or refugees in Nova Scotia and the challenges associated. The Centre for Immigrant Services helps newcomers settle into Canada with in a number of different ways, and Alsaidan`s job focuses on supporting individuals as they pursue careers or education opportunities. This includes everything from breaking the ice with potential employers and navigating through cultural differences, to the more technical work of gathering proof of training, credentials and education from other countries, or finding workarounds when those kinds of records aren`t available. “We formulate a strategy for working with each newcomer based on their personality, interests and career goals. We provide focus and goals and we use proven strategies to help them get over some of the obstacles they face,” he said. A number of his clients have found work in call centres, restaurants, and the service and hospitality industry, while some of those with trade skills and other expertise from previous careers have been able to find work related to their background. The organization provides support all the way to the job interview process and first days on a new job to ensure the largest chance of success. In response to a question from the audience, Alsaidan said many of his younger clients have expressed interest or hope in one day beginning a career with the Canadian Armed Forces, but that obstacles currently exist. Only Canadian citizens can apply to join the CAF, and though policy changes now allow applications to be accepted once individuals have an expected date to receive citizenship, this is still out of reach for most of his clients. “Currently, we have many people who can’t apply, but I do see a promising opportunity there,” he said. “We have a lot of youth in high school who and graduating and looking for careers, and also young adults who already have diplomas. I see the Forces as an excellent career path for many of them, if it were to become a possibility,” he added, with senior officers in the crowd agreeing that young immigrants have potential as a future recruitment target. While a number of the YMCA’s clients, specifically refugees from Syria, come from regions where uniformed personnel are often viewed negatively, or as tools of government oppression, Alsaidan said those views have not carried over, in his experience. The MARLANT IDERD event was hosted by DVMAG, with civilian co-chair Rene Gannon and Base Commander Capt (N) David Mazur, the DVMAG Champion, attending, along with RAdm Craig Baines, Commander MARLANT and JTFA. RAdm Baines thanked Alsaidan for the important work he’s doing with the YMCA, and for sharing that work and some of the issues faced by newcomers with the audience. He expressed frustration that problems with racial discrimination are still being dealt with in the year 2019, and encouraged all in attendance to pass on some of what they learned to their colleagues and families. “It seems unfathomable, but these issues are still with us. We need to make sure we’re always part of the solution, and that we’re always educating our people,” he said. 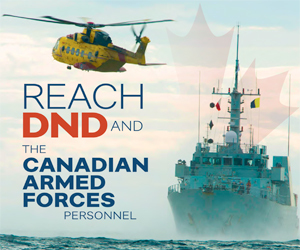 DVMAG and MARLANT’s other Employment Equity groups are open to all members of the defence community and newcomers are always welcome at meetings and special events. 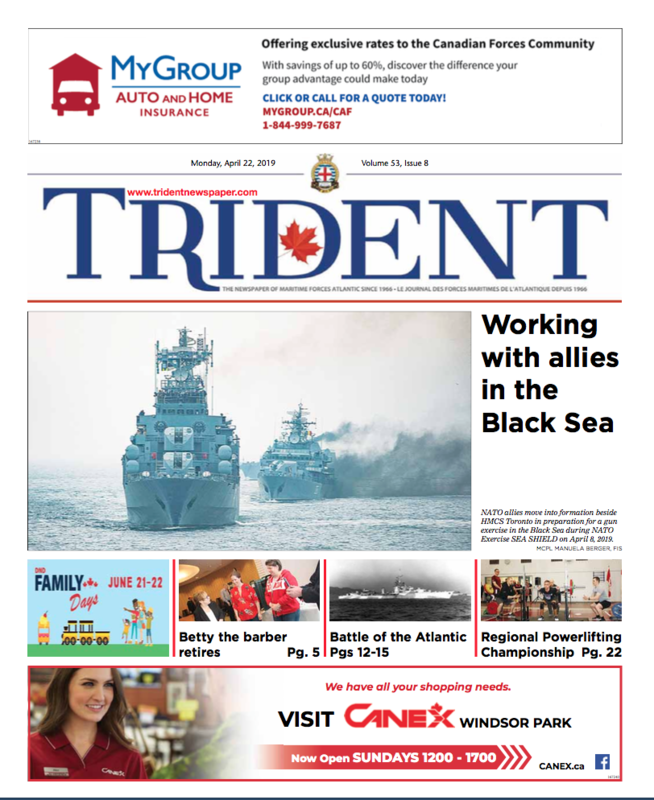 For more information and a list of contacts visit http://halifax.mil.ca/HRPP/pages/fhr_ee.html on the MARLANT Intraweb.